The Classic Crooners Show” is an exciting tribute to the popular male singers and hits of the 1940’s such as Frank Sinatra, Dean Martin, Tony Bennett and Nat King Cole, right up to modern crooners such as Michael Buble. Lead singer Charles Di Raimondo, (former member of “Canada’s Three Tenors”) will thrill you with his powerful and lush tenor voice. 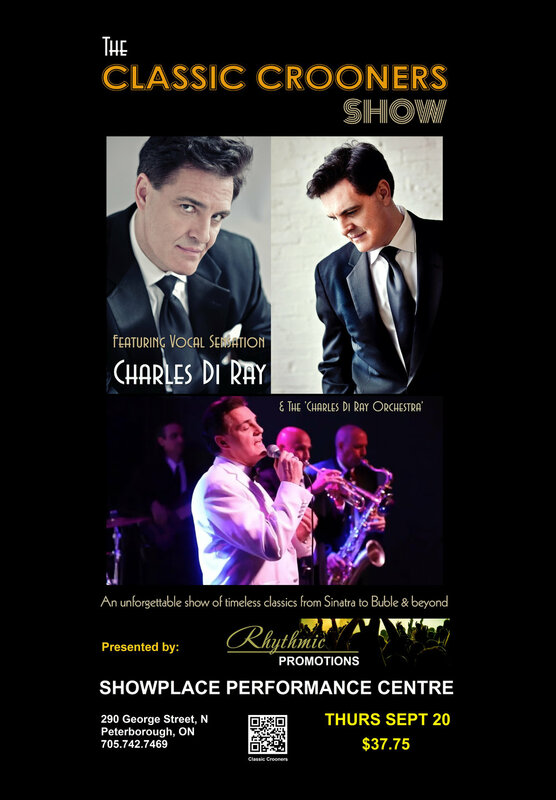 You will be swept away by all the great hits of the past and present performed by Charles and his all star band! Buy a ticket for yourself or for someone who would enjoy reliving the memories of this wonderful music era. Tickets can be purchased online: http://www.showplace.org/ or by calling the SPC box office: 705-742-7469. Please note the box office hours for July and August are Wednesday, Thursday and Friday 10:30 am – 5:00 pm. Proudly presented by Rhythmic Promotions.